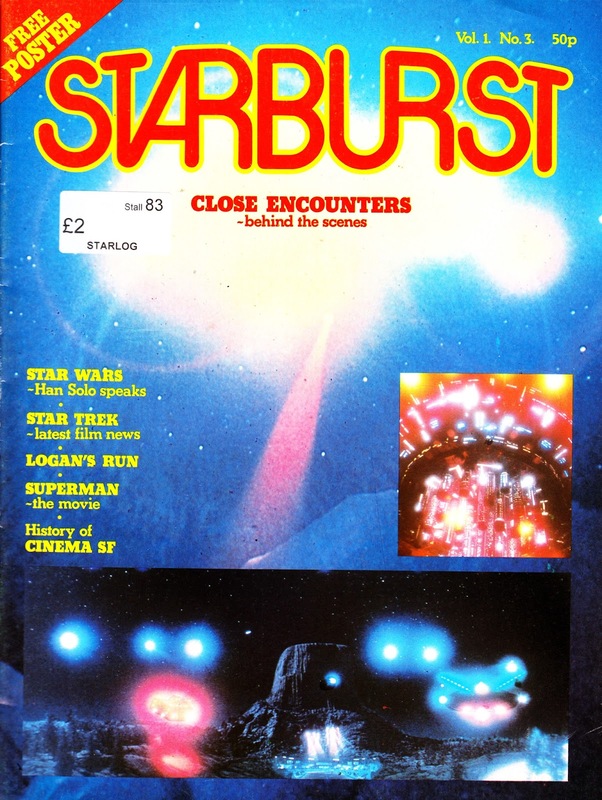 From May 1978: STARBURST issue 3. This was the last issue to be published solo by Dez Skinn. In addition to publishing this and the Hammer mag, Dez was also undertaking a spot of consultancy work for Stan Lee re: the future direction of the Annex of Ideas. That landed him the job of the British Bullpen's boss man... and he made Starburst part of the deal.